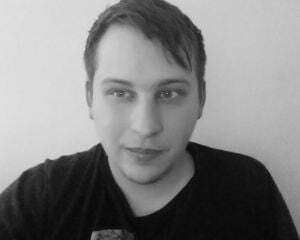 I finished Hellblade: Senua's Sacrifice and felt like something of a failure. This is an incredibly well put together experience, and I -- a guy whose job it is to have interesting thoughts about games -- have no real interesting thoughts about Hellblade. I just know that I enjoyed what I played even if I'm not necessarily sure why I enjoyed it. I'd be going through something of a crisis if I were tasked with reviewing Hellblade. I wouldn't know the right combination of words to describe the use of psychosis that permeates every breathing second of the game. It feels sincere and legitimate. Protagonist Senua is mentally ill and finding a way to cope with that is a major part of her arc. Video games always cater to a traditional power fantasy of becoming physically stronger; not many games bother to show the struggle of becoming mentally stronger. But, because of the psychosis, I'm not sure how much of Hellblade I could trust. There's not a single quiet or dull moment. There's this never-ceasing push and pull of voices in Senua's head. If one is ecstatic that she's doing something right, there's always a counterbalance of another telling her she's set herself up to fail. It's exhausting. So much of Hellblade relies on perspective, and perspective seems like it's always malleable. Whereas you can't trust the voices in Senua's head, you also can't trust what she sees. Large swaths of the game are rooted in manipulating the environment through illusion and alternate viewpoints. Senua kind of just has to press forward, regardless of whether her surroundings make any logical sense. Toward the end, Senua is stalked by a particularly fearsome beast -- all culminating in a really great boss battle (don't click that link if you don't want to know who/what you fight and how it plays out). It's probably the most dangerous situation she has encountered in all of Hellblade, but it doesn't necessarily feel like she's especially vulnerable. Virtually all of Senua's entire life has been spent in vulnerability. Now that she's figuring out how to deal with it, she's better-equipped than ever to fight the uniquely terrifying things she stumbles across. Last week, Hellblade cleaned up at BAFTA's British Academy Game Awards. It won 5 of the 16 categories -- Artistic Achievement, Audio Achievement, British Game, Game Beyond Entertainment, and Performer (for Melina Juergens' performance in the lead role). They're deserved victories, especially considering the spirit of each category. 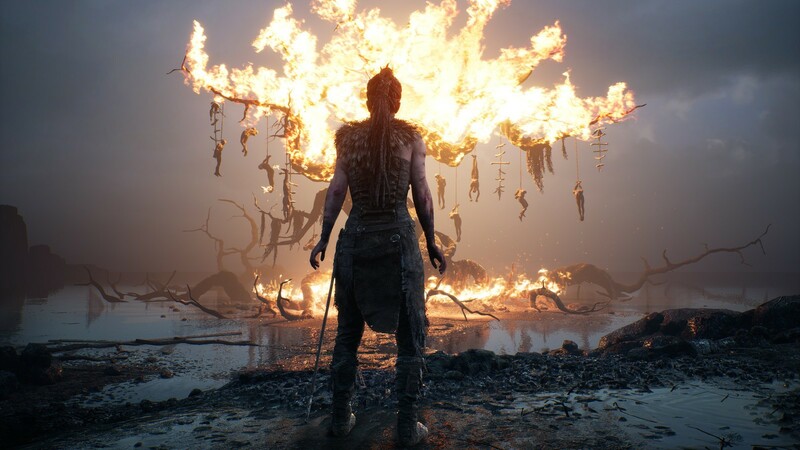 Hellblade is a visual and aural assault that's as discombobulating as it is impressive. Hellblade is worthy of all the praise it got. I just don't know that I'll ever fully process how I feel about it.